If you are a builder, project manager, or a home owner who is having their property renovated, then you very well may be looking for renovation and builder waste disposal in Sydney. We undertake renovation and builder waste disposal in all over the area of Sydney, so be sure to get in touch with us and find out more about our rubbish removal services. We have a strong team of man power, along with a fleet of vehicles, so we have what it takes to get the job done. This will make life a lot easier on site, using your professional contractors for what they are meant, and outsourcing the renovation and builder waste disposal to us. We have access to the necessary disposal and recycling facilities when it comes to builders waste disposal, and so are an obvious choice in taking this extra work off your hands. 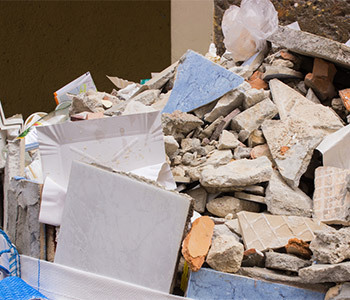 We have been undertaking a wide variety of rubbish collection and waste disposal services across Sydney over the years, therefore we have built up the experience in being able to carry out your builders waste removal and disposal in a quick and efficient manner. We are able to collect and dispose of whole and broken pieces of furniture, gravel, bricks, old timber, metal, rubbish bags, window frames, old doors, kitchen and bathroom fixtures and fittings, and anything else that is on site that is no longer wanted. As a company who operate all over Sydney on a daily basis, we are the obvious choice for renovation and builder waste disposal in Sydney. Let us take this extra job off your hands, and the hassle of disposing of the waste away from you. Get in touch with us for a free no obligation quote for builders waste disposal in Sydney.